Faience, blue glaze. 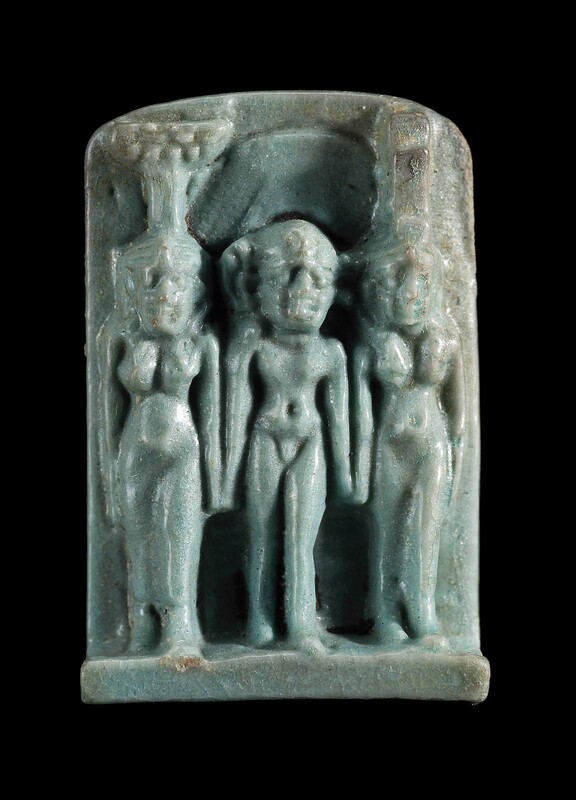 Plaque with striding triad Isis, Horus, and Nephthys. From Giza: G 7652A, Room VIII. April 28,1929: Excavated by the Harvard University–Museum of Fine Arts Expedition; assigned to the MFA by the government of Egypt.